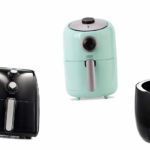 Top5 » Kitchen & Dining » Cooking » Air Fryer vs. Deep Fryer: What’s the Difference? If asked to name your favorite foods, would french fries, fried chicken, onion rings, and other deliciously fried items top your list? If so, you may want to invest in a home fryer so you can whip up a batch of your favorite guilty pleasure whenever your heart desires. Deep fryers have been around for years, but did you know there’s a healthier alternative to a deep fryer called an air fryer? 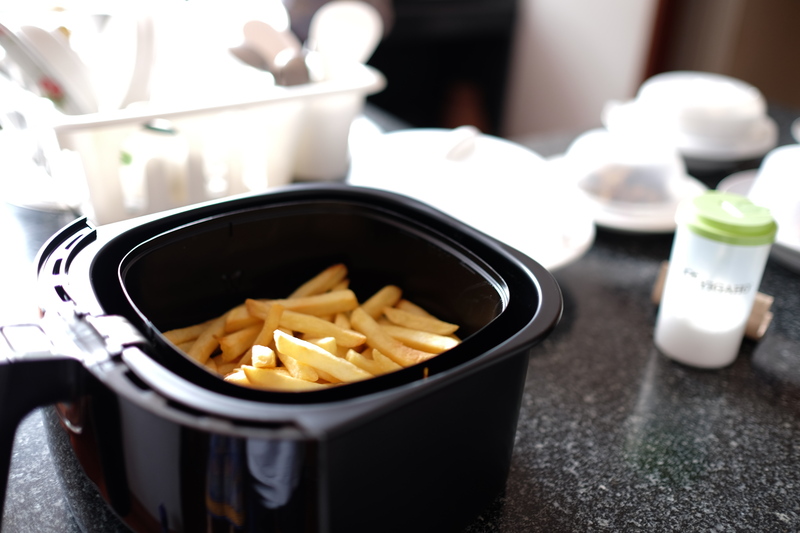 The difference between an air fryer vs. deep fryer may change your at-home eating habits. 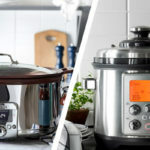 When looking at an air fryer vs. deep fryer, there are pros and cons to both. Most people say that food fried in deep fryers tastes better, while others think air fryers can produce pretty similar results taste-wise. No matter what your thoughts on taste are, there is one thing for sure: air fryers produce healthier food than deep fryers and can have up to 75 percent less fat than the same food made in a deep fryer due to the difference in oil used. Does that pique your interest? 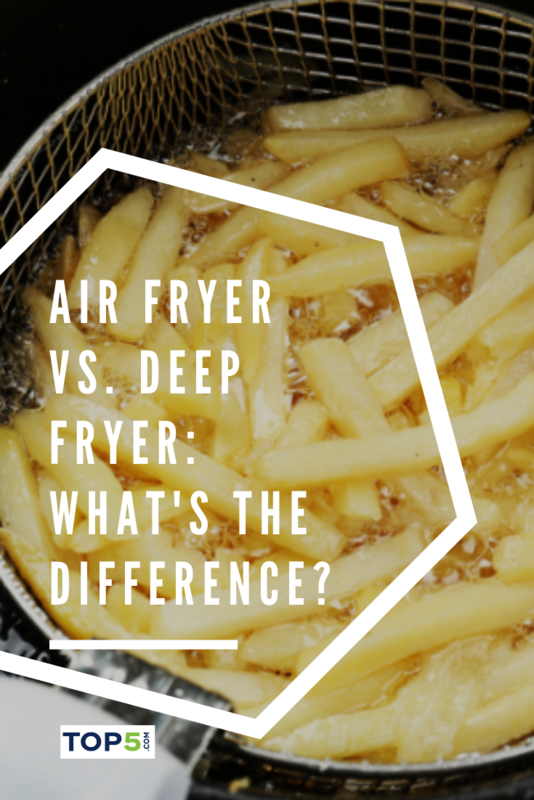 Keep reading to learn more about the pros and cons of an air fryer vs. deep fryer. Air fryers were invented by Philips approximately ten years ago, but they have recently grown in popularity as people have been looking for healthier alternatives to their favorite snacks. 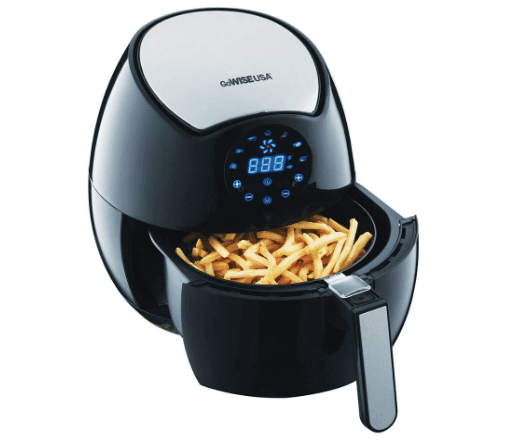 Similar to deep fryers, air fryers can be used to make french fries, chicken nuggets, fried fish, and so much more. Unlike deep fryers, however, they use a small amount of oil and instead use high heat to produce a crispy fried taste. There are two main types of air fryers: flip-top air fryers and pull-out drawer air fryers. Pull-out drawer air fryers are the most common type of air fryer and are safer and easier to use. 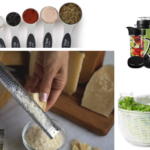 The downside is the typically have a lower capacity than flip-top air fryers, so people who like to entertain or need to cook in large batches tend to gravitate towards flip-top air fryers. 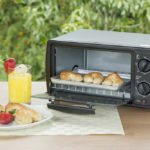 Have you ever used a convection toaster oven? If so, you’ll know that they use high heat and a fan to bake or broil food (and do so more quickly and efficiently than traditional baking or broiling in non-convection ovens). Air fryers are somewhat similar. The top part features a heating mechanism and a fan that pushes hot, rapidly circulating down and around a fryer basket below. This high heat cooks the contents of the basket, causing the food to become crispy and fried tasting. 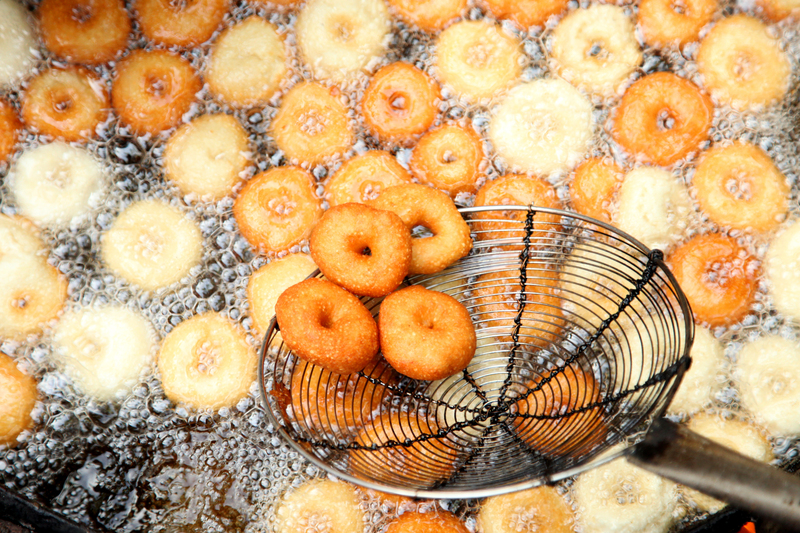 Unlike deep fryers, which require cups of oil, air fryers require a small amount. Sometimes you’ll only need a tablespoon, and sometimes a few sprays of cooking oil do the job. Unfortunately, you can’t use liquid batter in an air fryer, but you can use frozen items. If you want to make your own fried onion rings or another dish that requires liquid batter, make it a day ahead of time and freeze. 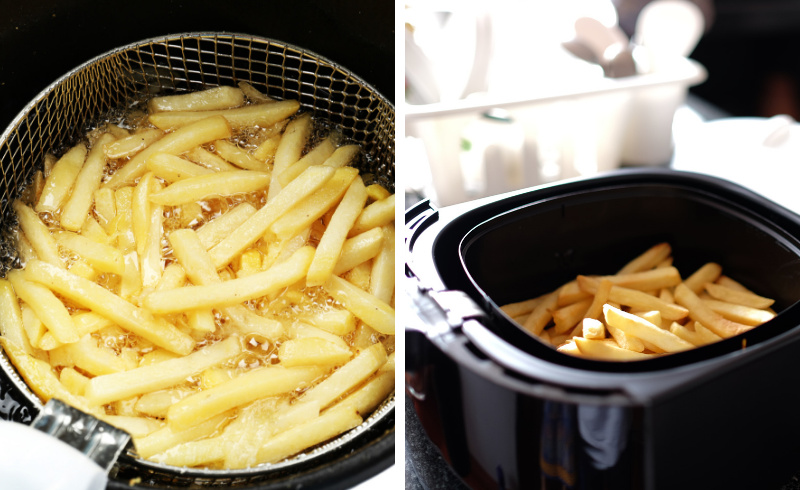 We told you up front that the main advantage to an air fryer vs. deep fryer was healthier fried food. That’s not the only pro, however. Can be left unattended: While you shouldn’t leave the house, you don’t need to stand over an air fryer and watch it fry your food. You merely set the buzzer for the allotted time and then come back when your food is ready. Easier to Clean: Most air fryers come with removable and dishwasher safe parts. Plus, there’s no messy, leftover oil to clean up or grease spills to wipe. Easier to use: Most air fryers have a few preset functions, so you toss your food in, push the appropriate preset button (ex: french fries, chips, fried fish), and let the air fryer do the work. Healthier: Air fryers use more than 50 percent less oil than deep fryers making your food less caloric, lower in fat, and lower in cholesterol. More Variety: Air fryers are good for more than frying. They can be used to roast meats, bake cakes, and even grill items. Safer: Have you ever burnt yourself with hot grease? If you’ve used a deep fryer, you likely have. With air fryers, you don’t have to worry about hot oil popping up and burning your skin. There’s also less risk of a kitchen fire. Cook Time: Air fryers tend to take longer to cook food than deep fryers. On the upside, they come with timers and are safer than deep fryers, so you can multi-task and work on other projects while your food fries. Taste: We won’t lie. Deep fried food tastes better than air fried food. If you don’t care about calories and only care about taste, you’ll likely prefer food cooked in a deep fryer to food prepared in an air fryer. Who Is an Air Fryer Suited For? In the battle of air fryer vs. deep fryer, which should you purchase? It depends. Air fryers aren’t for everyone. If you love fried food and are looking for a healthier alternative, we suggest you try an air fryer. However, if you don’t care about fat content and are focused on the taste of the fried food you prepare, we suggest you stick with a traditional deep fryer. Fried food has been around since pretty much forever. The Greeks included fried chicken (officially called Pullum Frontonianum) in their cookbook Apicius in the 5th Century BCE, and the Europeans debuted funnel cakes in the 13th century. A deep fryer uses hot oil to cook food. Oil is heated somewhere between 350-400 degrees Fahrenheit, and then uncooked food is submerged in the oil. The heat increase cooks the surface of the food, sealing the moisture of the interior while giving the exterior a crispy texture. 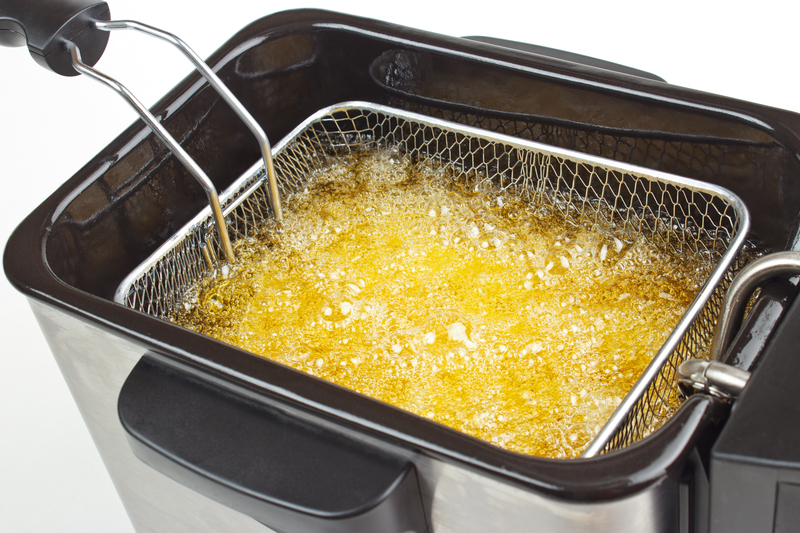 While air fryers typically use a tablespoon or less of oil, deep fryers usually use three cups or more. Crispier food: Deep fryers produce crispier food than air fryers. If you love the crispy texture of fried food, you’ll much prefer food prepared in a deep fryer. Faster cooking time: Deep fryers cook much quicker than air fryers. If time is of the essence, or if you need to prepare a large batch of fried food, you’ll be able to do so much quicker in a deep fryer vs. air fryer. 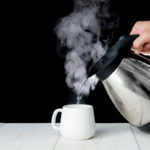 We’ve already told you that air fryers are healthier than deep fryers and that deep fryers typically use three or more cups of oil. Thus, you can imagine health is the number one con of deep fryers. Easy to use: Deep fryers are more dangerous to use due to the amount of hot oil. They can cause burns if you’re not careful. Kitchen fires are also more common with deep fryers. Hard to clean: While air fryers have removable parts that can be popped in the dishwasher, deep fryers are harder to clean. You not only have to dispose of the oil safely and clean the parts, but you’re left with grease splatters that require additional clean up. Unhealthy: Deep fryers aren’t healthy. Because of the amount of oil, they produce food high in calories, fat, and cholesterol. Who Is the Deep Fryer Suited For? 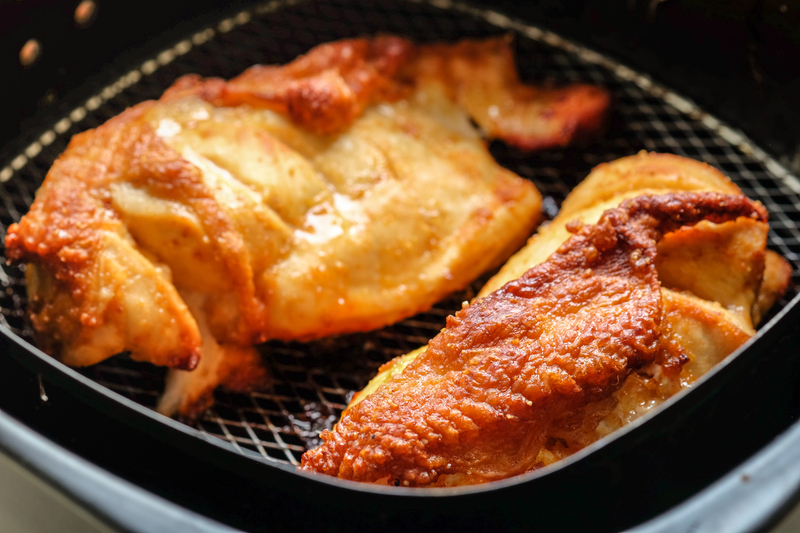 If you love fried food and the idea of compromising taste for health gives you hives, you should stick with a deep fryer vs. air fryer. While an air fryer does a great job of preparing healthy fried food, the truth is that the taste still doesn’t measure up. Make sure you know how to use a deep fryer before you dive in. They can be dangerous because of kitchen fires and splatter burns. As with any product, read the manual before you use it. When it comes to air fryer vs. deep fryer, a lot of it has to do with personal preference. Overall, air fryers are an innovative way of making traditional deep fried food healthier. If you have health problems such as high cholesterol, high blood pressure or are overweight, you may want to try an air fryer. On the other hand, if you love fried food and don’t want to sacrifice taste for calorie, fat, and cholesterol savings, stick with a deep fryer. Just make sure you don’t use it too often, or you may develop some health issues.